"Nothing is more firmly believed than that which we know list"
In order to delineate an initial first notion of the term, we just refer to the actual data deriving from our own everyday experience. In this way we note the presence of those symbols that identify,' institutions, assosiations, parties and other conoscitive forms that can be defined as "social", and the so-called "status symbols". In this first stage, the term "the symbol simply indicates any element that refers to another independently of the methods by which the other is represented. Clearly, at such a level the symbol tends to be confused with the sign. The difference with the sign is re-established however by the effect that one wishes to achieve: the representative must render the presence of the represented in an immediately effective manner. However the referral must not be conventional, but must communicate, apart from the meaning, a "participation". This leads us to presume (as does Samuel Coleridge, one of the most diligent researchers of the symbol) that the representative himself takes part in the represented reality. Asserting that the symbol is always a part of the whole that it represents, Coleridge intended that this bond between the two terms representative\represented and not the "synecdoche" (that, which gives the part as a whole) of which, however, the symbol can always make use as of the other rhetorical figures. The origins of the concept of the symbol as established in the theory of interpretation, are essentially logical and phenomenological. Symbolization, in fact, can be traced bach as a form of representation to a more general theory of expression and meaning which had its origin in the "first research" by Husserl. The historical critical reference system thus obtained, is represented by a hernieneutical tradition, by an analisys of the significance which starting from Husserl reaches, through Diltbey and Heidegger to Gadamer. The dominating theme of the theory of the forms of symbolism, is the structure of "cross-reference"
For Heidegger, as for Gadamer (even if for the latter in a double way: historical- critical, or aesthetic erlebnis; and theoretical, or rather as a critic of the aesthetic conscience), allegory and symbol differ one from the other in different forms of reference: one says, and the other gathers together. In any event thir aim is identical, since it is the configuration of the "other" that constitutes the artistic. Hans Geog Gadamer , reconstracts the origins of the term "symbol" referring directly to its Greek etymology. In fact, symbol derives from the Greek substance "symbolon" that in its turn originates from the verb "symballein" which means "throw together" and that expresses a close bondwith a particular emphasis. Even though the idea of symbol became part of the theological store of knowledge, in the Middle Ages it played a secondary role compared to the allegory that was preferred both in scriptural exegis and in literature, becoming the interpreter of the physiological components. Nowadays the symbol according to Umberto Eco, has taken on a role in the field of hermetic mysticism remaining linked to the aesthetic- magical experience. The symbol definitively enters the literary and phylosophical field with the romantic idealistic. As Schlegel and Novalis with their oscillating terminology and Hegel with his devaluation of the role of "symbolic art" (on the other hand we can see how nearly every page written by Hegel is characterized by the use of symbols; from those of the mole and the owl, to that of "painting in chiaroscuro" etc.) still represent the initial phase of this period, Schelling, in the view of Gadamer, represents the highest point. In fuct, it is with Schelling that the symbol comes to coincide with the artistic and beauty as such up to the assertion that "art is symbolical"
Schelling links directly his reflection on the symbol with that of ancient mythology: the mythological forms "are that which they mean" or rather at the same time they do not cease to be themselves. It is clear that "the romantic- idealistic aesthetic", in its tendency to assume art both as intransitive (and not longer a camouflaged copy of the world) as well as ideal (Hegel's formula of beauty as a "sensitive aspect of the idea") had to meet of necessity, in its course the idea of the symbol(...). The research of authenticity of the exposition and the consequent sentence, because insincere, of any imitation of the past, tenical artifice or scholarly learning, comes to the "death of rhetoric" and with it allegory, which considered only a "cold" intellectual exercise (...). The symbol is applied not to the mechanic reference, but to a representation that shows its meaning spontaneously as an organic birth of its own nature . In this way the symbol assumes in itself a transcendent content obtained intuitively on the model of the "incoronation", even if the attitudes in the romantic- idealistic aesthetic field have not been able to explain if this subject was due to the plurality of Kant's ideas or to the highest concept of "infinite" and "absolute". It was Goethe duty in his "Massime" who then clarified that both the mission of allegory and of the symbol is to connect the peculiar to the universal: the allegory through the concept searches for something outside itself; the symbol instead finds it immediately, demonstrating nothing more than itself, it is just through its self-evident reason of existence that it carries within itself the essence of the universal. Between 1885 and 1891, the symbol definitively enters the poetic and literate field mostly due to the French writers and intellectuals who with Teodor Wyzewa come to affirm that << allis symbol>> (historical symbolism). The fact that the symbol had become accepted by wide fringes of intellectuals and writers, did not mean that the problems connected with its definition had been investigated and resolved. In fact it is exactly in this period of greater power in the literary field that the symbol begins to assume within itself, antisymbolistic procedures. It is the case of Baudelaire who wrongly, due to "the forest of symbols" present in his "Correspondence", is considered to be a symbolist, but as demonstrated by Benjamin must instead, be counted among the greatest representatives of the opposite current, that of allegory. In spite of the confusion perceivable within itself, in the French area the concept of a connection between symbol and idea persists. But this idea in Renè Ghil and in Jean Moréas loaded with mystical significance (the first and last idea, or truth of Ghil) esoteric and occultist meaning (the idea does not manifest itself entirely, but it remains wrapped in the heavy clothes of analogies, according to Moréas). Historical symbolism uses an initiatory and obscure language losing that transparency and naturalness indicated by Goethe as innate elements of the symbol, when in his "Massime" he established that <<true symbolism is that in which the particular element represents the more general one, not as a dream or a shadow, but as a vivid and instantaneous revelation of the inscrutable>>. This loss of clarity can be considered as an involution, which perhaps finds its most intense expression, as far as the French cultural field is concerned, in Huysmans, and in particular in his "Aurebours", in which the symbols are completely emptied, becoming superficial experiences of aesthetic and the senses . When the repressed necessarily re-emerges, it will be sublimed in the ornamental stylization. In that way it will be rendered harmless and will not represent a danger for that fine net of "fine and ethereal" connections ("the Gospel of correspondences") in which symbolistic poetry is substantiated. At the basis of the symbolistic connections, there is a synaesthetic vision of reality in which all the phenomena of nature are similar to each other inasmuch as all are linked with the essence. In the psychoanalistical interpretation the function of the symbol is not univocal. Referring to the theories of Breuer on histeria, Freud in "Hysteria and Anguish" treats the symbol on a sort of" indirect figuration" through which the patient speacks of his trauma Therefore, symbol as symptom. But Freud corrects his theory later in <<Interpretation of Dreams>> when he affirms that it is the symptom which utilizes the symbols which are recalled from the patient's already formed representative representative patrimony. When there free associations of the patient are not sufficient, the analyst resorts to his symbolic experience, that is, his cultural background. In this way elements of dreams may be traced to mystical images, folcrore, to that which Freud calls "the age-old dreams of humanity". Jung conceives of an unchangeable collective unconscious. He sees the symbol as a myth in its archetypical state which lies at the root of the unconscious and feeds the manifestations. Whilst for Freud it is always the "symbol of something" and this something is in fact parts of the body and sexual organs, in Jung the symbols are the inexhaustible patterns of primitive images. Psychic disturbances are thus considered to be incidents occurring during the process of emergence from the images. According to Jung the unconscious nature of the symbol is clearly enounced. Just as clear is the opposition between symbol and allegory bases itself on the dualism of conscious\unconscious. Like the artist also the interpreter unconsciously reaches the symbolic depths abandoning his critical vigilance and letting himself be carried along by the action of the work (also in Jung the "mystic" promise of the symbol is fulfilled). In anthropology( above all in "The Structural Anthropology" of Lévi-Stauss and in "The language and its doubles"). The researchers of the "savage thought" see the symbol as fruit of analogic logic of the primitives: the magic impinges on the real, the mark on the thing. Thus as in psychoanalysis, also in anthropology one speaks more of the symbol in the singular than of a plurality of symbols forming a symbology. This symbology is a primary formation of the imaginary of man: the aim of art is to rediscover it, being lost ancient knowledge. It is in this track that Cesare Pavese sets his concept of the symbol as a unique and unrepeatable event, which defines the space of the holy, occurring once and all time, but producing an inexhaustible significance (" Holidays of August" and Dialogues with Leucò"). From the brief historical accounts cited above, it clearly emerges, that for all the 1900's right from the beginning; qualities have been assigned to the term and concept of the symbol that have placed it in an advantageous position compared to the allegory, to which instead has always been assigned, also on the basis ofthe crocian-aesthetic opinion, a subordinate and negative role, denying in some cases the status of "form of expression". In 1928 Walter Benjamin published in Berlin his essay "On the origin of the German Baroque Drama" with which he tried to qualify as university lecturer at the University of Frankfurt on Main. The intentions of Benjamin's work, as Gyorgy Lukàcs, one of his most convinced antagonist, has observed go well beyond the subject dealt with. The aim is to lay the basis of the most daring theorization of artistic question of the 1900's: through the analysis of the use of allegory in German baroque, Benjamin gives a clear reading of the avant-garde trends of 1900's, and in particular of the Expressionism. This kind of research of Benjamin, sets himself within a context of work peculiar to that of the thinker, still today of extreme originality: having grown up in a wealthy family of Jewish origin, the young Benjamin approaches Marxism linguistics and literary criticism in a critical way. His attempt is, as satated repeatedly by Gheorshom Scholem, his close friend and author of several essays about him, is to construct an articulated synthesis among cultural currents, including mystical of Hebraism (within which most remarkable, and in fact crucial, were the issues of language, of the symbol and allegory), the critical thinking of Marxist origin, and some of the heritage which Marx has defined as "The classical German philosophy", in particular some German Romantic and Idealist elements. - and the pages that follow will help to demonstrate it - is not a playful technique to create images, but expression, as is expression language and indeed writing>> . He re-establishes the relation between allegory and symbol stressing the difference and contrast, so denying to allegory the role of the discarded symbol, poor relative of the symbol. The speech it is not defined from an exegetical and interpretative point of view, but both terms are analyzed as ways of expression and of construction of the text. Thus what it is placed at the centre of the attention it is not which context is from time to time represented, but what happens to the terms of the representation when they are asked to "say something else". <<The allegorical mode dealing with the elements of representation like words of speech, it empties them of the sensitive immediacy; the usual and intuitive link between significative and significance is put aside by the hypothesis of a new meaning, and a gap opens between the two levels; in this can be found the critical attitude that does not take for granted the appearance of the world. The opposition to the symbol is strong: that promises to the implied elements the salvifical transfiguration and the realization, whereas the allegory operates in a double direction:" devaluates" the images endowed with vital representative plenitude, and "promotes their rank", restoring to them a significative function, those whose prestige has diminished in the course of history>> . The interior essence that the symbol preserves within itself rendering invisible, hiding, is projected out of itself externalized, exposing it in things by the allegory; to the blending unity of the symbol, its mystic union (so dear to Romanticism), corresponds the fragmentariness, the irreparable dissolution of the reality achieved by the allegory that, being fragment and nine, leaves no lasting appearance, no illusion of regaining the totality: to the classical harmony of the symbol is opposed the "unbalanced" and "rebellious" nature of the allegory that destroys any aura of magic and sense of the world totality. Benjamin who attributes to the symbol a function of preservation opposes the mystic cultural and mysterious moment of the symbol, the progressive dialecticism of the allegory (the allegory as a fragment knows no mysteries, but only enigma that are waiting to be recomposed in a whole). A dialecticism, that of the allegory which does not address itself only towards the external, but which is also internal and that manifests itself in antitheses and antinomies of a Hegelian nature. Such a dialecticism therefore, does not provide for any mythical narrative or epic itinerary. On the contrary, the myth remains as an appanage of the symbol, being an event outside of history. History is the element on which the allegory operates. In order to give them a meaning, the allegory detracts the single things from the vital flow and through "the contradiction" identifies their banal and obvious side. This is the role of the critic, that of pointing out, indicating through hermeneutics, through <<the recoding of human approximation>> the way in order to compose or recompose a new network of approximations. In his "Philosophical essay of history" (1940), Benjamin, in opposition to the "intuitive" pretext of the "philosophy of life" of Deithey and of "phenomenology" by Husserl and rather influenced by the neokantism, according to which concept and judgement are weapons of knowledgewhose field of investigation is limited at the phenomenal and are unable to grasp the subject in its totality and truth, he affirms that the totality and trough of things appear to the intellect through the artistic work in an enigmatic way and with these enigma philosophy has to measure itself. To this theory of history subtends an underlying neoplatonism characterized indirectly by a strongly Messianic note, as Gersham Scholem recalls, through the cabala. It is to this that must be traced the reference to the pure language of primitive names considered as a last unattached and untouchables code, set by Benjamin as a dialectical alternative with the linguistic of men and witch can be by any chance object of technical-functional penetration. The term Ursprung in the title of the work on the German baroque drama, does not simply mean "genesis", "origins" or "source". It indicates, instead, <<that primitive leap in the existence that, meantime, reveals and determins the structure unveiling itself and the central dynamics of the term in an organic or spiritual phenomenon>>  Hence a dynamic tension by which the object and the inquirer maintain a constant relationship with the truth that operates and materializes trough the ideas. The attempt, destined to irreparable failure of which the author is aware, is to save the fragmentation of phenomena (in the case of that of German Trauerspiel). Giulio Schiavoni underlines that << This" salvation of the phenomenon" is foreseen by Benjamin in the track of the platoman doctrine of ideas, rather than in that of the spirit of reductio ad unum characteristic of historism, which resolves the dialectical richness of history in what has been definitively confirmed. The critic seems to be called to "represent" philosophically certain elements of truth, avoiding the obsession to accomplish the synthesis of historical data typical of the traditional historical sciences. Formulating his own interrogation of truth, which represent the "death of the intention", he remains aware that knowledge cannot coincide with truth without destroying it (...). In this way he prepares himself to escape from the malediction of the concept and to his maniacal questioning in order to capture. Only in this light does it become possible to comprehend the insistence of Benjamin on the display of ideas in the language without nevertheless agreeing with it, without ending in comprehension, in the representation, and in the concept>> . The ideas however cannot be grasped either by intuition nor by a scientific inductive type of research of positivists. Benjamin on the one hand, detaching himself from intuitionism and from vitalism (respectively of Dilthey and Husserl) and on the other hand from neopositivism, speaks of "vision", remaining with a cognitive experience in which the ideas are given , taken away, however, from the subjective-intentional sphere, deprived that is of any theological element. against any historistic triumphalism, he tries to bring out all that official history has denied and destroyed. Linking himself to this line of thought Furio Jesi emphasises the political implication of the denouncement by Benjamin at the optimistic progressivism of the relativistic historicism and positivism of the late 1800's and of the early 1900's: a radical criticism orientated in an anti middle-class and anticapitalistic direction in opposition to this philosophy of history. The presumed rationality of history is, for the German philosopher, an apologia of the present inspired <<by mythology and law of a"winner"(...). History appears to him as a phenomenology of the being of the world of supremacy: the capitalistic middle-class has abolished the residues of apparent autonomy of the subject and has transformed men into goods. The redemption of man can only be achieved by a radical break with the past characterized by dominion and by a recovery of the messianic tradition. But without elements of faith, as premises in the absence of liberation-redemption are not given, so the liberating subjectivity waits to be established>> . More rarely, in the so-called post-modern period new attempts to absorb the allegory into the symbol and viceversa, can be seen. These attempts are always based on the supposition of the linguistic equivocability. Thus Paul Ricoeur, from existentialist and phenomenologist of religions, detouching itself ibm linguistics and semiotics, considers language not just as a function of communication. In fact, besides the signs whose significance is univocal, he identifies the symbols to which he attributes not only an immanent linguistic reference, but also a plurality of mythical religious and poetic references the meanings of which coincide with the anthological and transcendent meaning of human existence. Making the symbol an object of interpretation and assigning to it the role of opening up the possibility of the meaning and, so, the status of inexhaustible source of awareness that can never be codified, Ricoeur considers it the constitutive element of the human thought and will. In light of the above, because the symbol (that according to Ricoeur is the holy word, the language of religion) is identified with all that represents a duplicity of meaning, its contrast to allegory can be placed only on an interpretative plane. In this way therefore we are witnesses of the reassumption on the part of allegory, of its previous negative role: that of representating the attempt to definitely closing the opening up of meanings offered by the symbol. Also Paul de Man seems to consider the symbol and allegory two forms of expression. But he separates them and places them in opposition schematically. In the first he recognizes the spatial simultaneity (of image and substance), in the second the temporal difference (temporal disjunction). Moreover, the "saying something else" does not refer, according to de Man to something that is set outside the literary ritual. On the contrary, with nihilistic results, it is the negation of the represented reality. 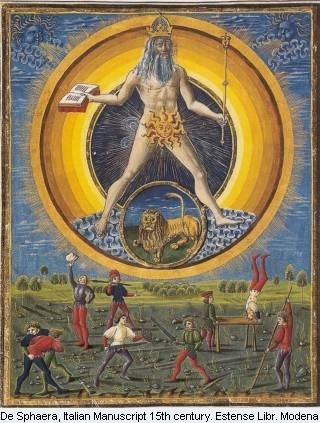 In conclusion, we can affirm that the symbol and the allegory have to be considered as ways of organization, that is to say the "tendency" that guides the entire work (artistic): in the symbol one finds a return of the melding and salvifical element, in the allegory the lacerating dialectic which is life. The one is inexplicable mystery, the other an enigma always ready to be reassembled. It should be remembered that the symbol like all thought based on analogy is considered by a certain field of criticism (not only literary and not only that which follows the interpretative line of Benjamin) to be negative, since being self referencing and lacking the progressive element, it favorus the conservative and traditional . << What is wrong with the symbol? The pretence to operate beyond the level of the conscious, which confers a culturally "high" profile with overtones of the occult; The irrationalism of the intuititive suggestion that induces a reply that is passive and inevitably more predetermined and foreseeable, facilitated by the confusion of the meanings. The symbol can be considered inexhaustible inasmuch as each new recipient finds in it the meaning most accessible on the horizon of his own culture: it is therefore not truly of multiple meanings, and it does not enrich the language and culture (nor does it leave its imprint), but tends to to reinforce and reconfirm the characteristics habitually accepted>> . I would like to thank Stefano Adami for advices, the suggestions and the friendship of which he demonstrate me, not only in the occasion of the editing of this article. George Steiner, "Introduction to Walter Benjamin", London 1977 quoted by Giulio Schiavoni in "Out of the chorus"
 Theasis which was confirmed by the intentions of certain authors (Baltrusaitis, Davy, Meslin, Schwaller de Lubicz) or editors.